I started maintaining a right balance during my college life in academic and skill development. 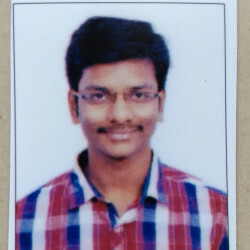 Languages that I have learnt and worked upon are: Programming Languages: + C + C++ + vb.net Software Packages: + MATLAB Circuit Simulation Softwares: + SaberRD + MATLAB Simulink + LTSpice Training pursued: + Summer Internship at IIT-Bombay, June-July 2015 - Worked on the performance variations of dc/dc converters with the use of Si and SiC MOSFETs. I contributed to 'Scholars for Change' campaign,an initiative by IIM-Ahmedabad by submitting audio-visual content for students of classes 6-8.